With each season our thoughts and household tasks take us outdoors. During the Spring, Summer, and Fall, one of these household tasks is yard maintenance, which inevitably produces yard waste (i.e., grass clippings, fallen leaves and pruned branches). If you don’t already mulch or compost your yard waste materials, and we encourage you to do so, chances are your yard waste will end up at an agricultural land application or commercial composting operation for processing.Kendall County plays host to a small handful of yard waste land application and composting operations. What is a yard waste land application operation? An agricultural operation that accepts yard waste material, to be ground-up, applied and incorporated into farmland soil. This three stage process is to be completed within a 24 hour cycle. A yard waste land application operation is not to be confused with a composting operation, a permitted process which allows for the collection and controlled maintenance of yard waste material arranged into long triangular-shaped piles known as “windrows”. 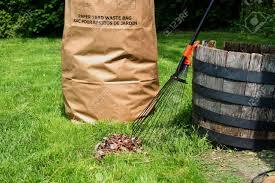 Who do I contact to report a complaint on a yard waste land application or composting operation? To report a complaint on a yard waste land application or composting operation, the Illinois Environmental Protection Agency has asked that they be contacted by calling (888) 372-1996 or by visiting their website www.epa.state.il.us.